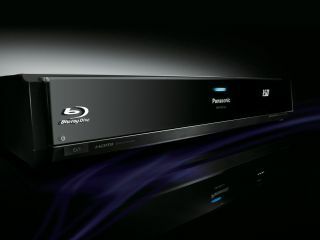 Panasonic has just put its first next-gen Blu-ray player on sale in the US - and that could spell bad news for you if you already own an older Blu-ray deck. For Panasonic's DMP-BD30 supports BD-Video Final Standard Profile 1.1 - a new version of the Blu-ray standard that introduces several new features like Picture-in-Picture (PiP) and interactivity using BD Java. That's a problem if you own a Blu-ray deck already because it's extremely likely that your player won't support the new Profile 1.1 standard. And as that standard has been finalised you'll have to buy a new deck to play the new discs that will flood into shops in the next few months. Feeling peeved about the grand you blew on a player last year yet? Warnings about Blu-ray's new profile - and its possible consequences - have been kicking around on the web for some time. Even the more specialist end of the home entertainment industry has weighed in. Insiders have written off Blu-ray as a 'beta' until v1.1 arrived. Of course this is great news for the HD DVD camp. They've been crowing for ages about the fact that Picture-in-Picture (PiP), interactive features and persistent storage have been locked into their standard from day one. The lack of a mandatory standard for these kind of features on Blu-ray has also caused trouble for Hollywood studios who have to make sure the discs they make will play on all Blu-ray players - whether they're feature-poor budget machines, or high end, high performance decks. We'll catch up with Blu-ray player makers over the next couple of days to find out what their Final Profile 1.1 plans are for new players; and how that will affect you if you already own an older machine.